Baird Middle School students returned from the winter break to a brand new academic building, featuring three standard classrooms, two science rooms, an ag science room and a fully equipped functional skills classroom for students with special needs. Later in February, Bullard High School's Northwest Academic Building will open its doors for the first time to students and staff. It features 15 classrooms. The two new buildings are part of the district's robust campaign to ensure quality facilities in support of quality instruction. With the district completing the Baird and Bullard buildings and developing other final projects under Measure Q, plans are already underway to build on the work of Measure Q with Measure X. Voters approved Measure X on Nov. 8. The Fresno Unified Board of Education will continue to use the 2009 Facilities Master Plan to provide a vision for improving district facilities while anticipating future needs. In addition, on Sept. 28, the board updated high school master plans to reflect improvements completed, projects underway, and additional input from the community and the board. "Our Facilities Master Plan called out $1 billion in facilities needs for our district, and we have made significant headway on behalf of our students and staff thanks to the community's support for the students of Fresno Unified and their faith in the work of the district," said Superintendent Michael Hanson. 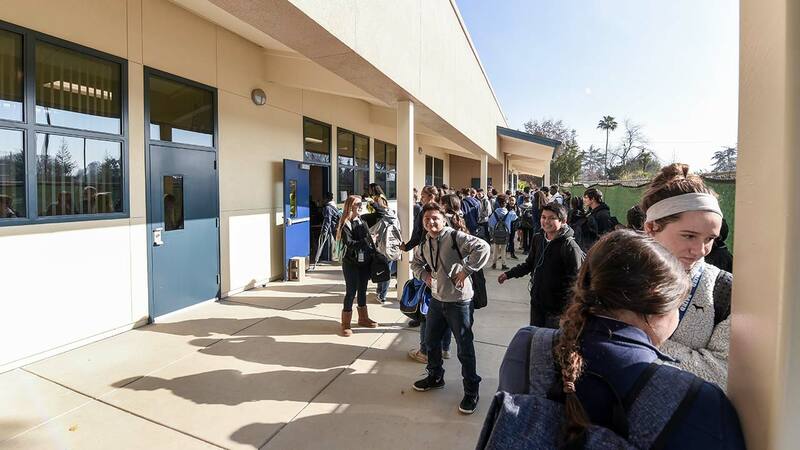 Through Measure K (2001) and Measure Q (2010), taxpayers supported the building of seven new schools and upgraded and modernized scores of existing classrooms over the past decade. New school: In Southeast Fresno for enrollment growth. District-wide: Science and technology labs, career/technical education classrooms, music and arts classrooms, elementary school security upgrades, parking lot gates.